That’s right. I’m talking to you! 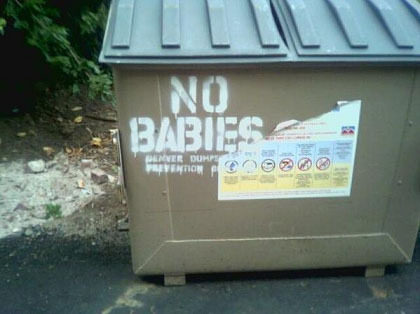 Don’t put babies in there! This entry was posted	on Thursday, August 20th, 2009 at 3:19 AM	and is filed under News. You can follow any responses to this entry through the RSS 2.0 feed. You can leave a response, or trackback from your own site. “What happens when you combind a 1 lb baby and a foot long sanwich? A delicious philly cheese stake”.